Protection Plus would like to extend this invitation to the people of Whitby to come and visit our showroom and find out how our superior security systems can improve the safety and security of your home or business today! Whitby, which is located in Durham Region, has a population of 122 022 people and is known as a commuter suburb. While the southern portion is predominantly urban and plays the role of economic hub for the region, the northern portions are much more rural and include several residential communities such as Ashburn, Brooklin, Myrtle, and Myrtle Station. Named for a seaport in Yorkshire, England, Whitby was established in 1792 and built upon the industries surrounding the natural harbor on Lake Ontario. Grain from the farmlands north was shipped through the harbor to many surrounding areas. Once home to a secret spy training facility known as Camp X during the Second World War, Whitby is now one of the largest cities in Canada. Often considered part of the Greater Toronto Area, Whitby is actually located within the bounds of the Oshawa Metropolitan Area. Many residents of the area commute to work in Toronto and the surrounding areas. For all your residential or commercial security needs, come visit Protection Plus on your way through Toronto, and our expert staff will help you find the perfect solution! 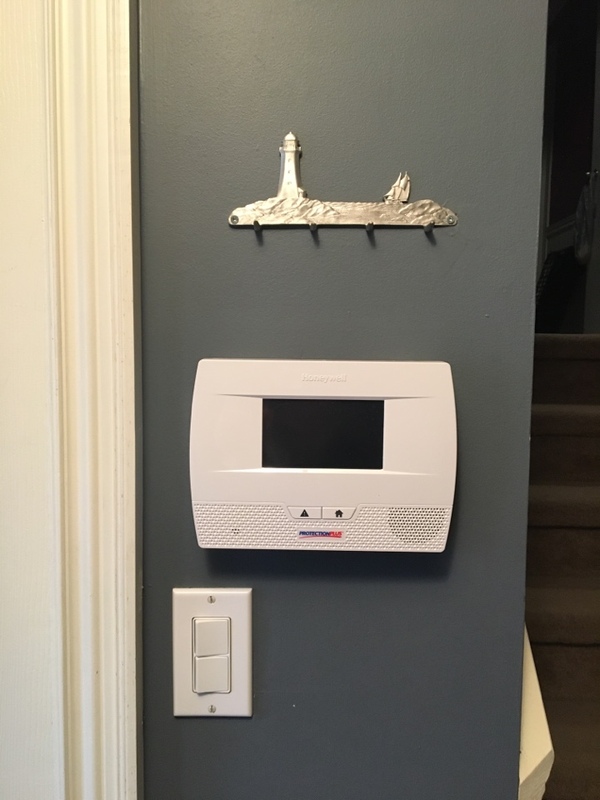 Installation of Honeywell alarm system and cameras. Setup with Alarm-i video verification.